LET’S HAVE SOME FUN WITH EARS! I just returned from an awesome ear project seminar at the Boston Tattoo Convention and I would love to apply some new skills to some fun and interesting ear projects! Let’s use some interesting placements and exciting jewelry to design something custom just for YOU! Set an appointment on the scheduling page or stop in and let’s talk about it! I just received my new anodizer to my piercing and body jewelry studio located at 4818 Lee Highway in Arlington, Virginia! Now I can change the color of your titanium jewelry to virtually any color you want! Stop in and I’ll show you in person! Click on the link to see how it works! After the glowing reviews I read here, I made the trek out from Columbia Heights to Craig- and it was well worth it- it was kind of an empowering experience. Craig is super friendly, and gives you as much information as possible to allow you to make the best decision YOU can- yay empowerment! 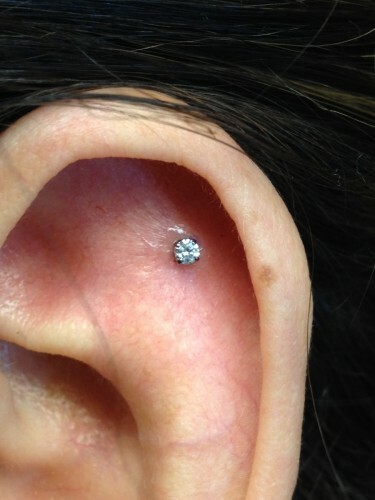 The piercing studio felt very much like a doctor’s office- clean, sterile, and set apart in privacy, as it should be! Something well noted is that he uses needles to pierce, not a piercing gun (which is a huge no-no for piercing ear cartilage, which I didn’t know). He’s a great communicator- at the end, he made sure to let me know that I should call him with any questions, concerns, or issues to discuss whatever could be done in case of any issues. 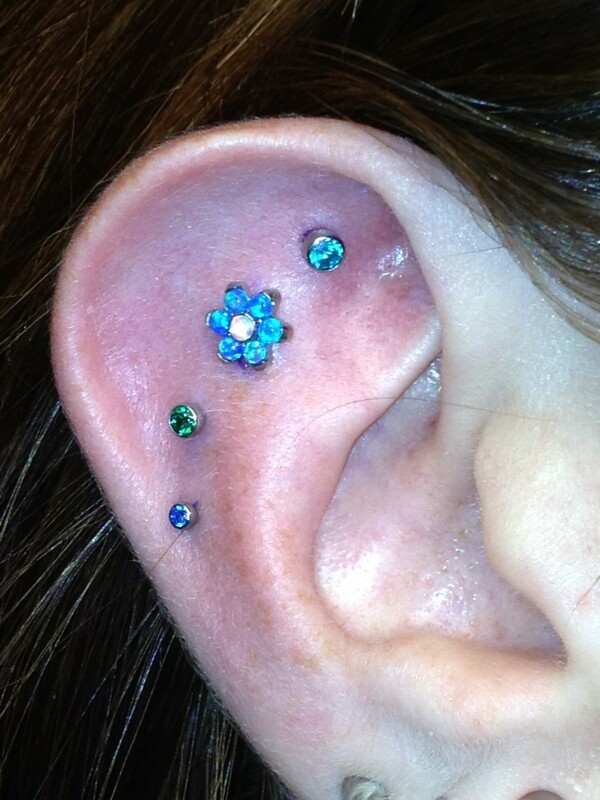 This is the first time I’ve been to a piercing studio where they made sure that I was going to stay happy. Definitely recommend. He’s friendly, thoroughly described the types of jewelry and aftercare, and most of all, helps you feel comfortable by making sure you’re informed. 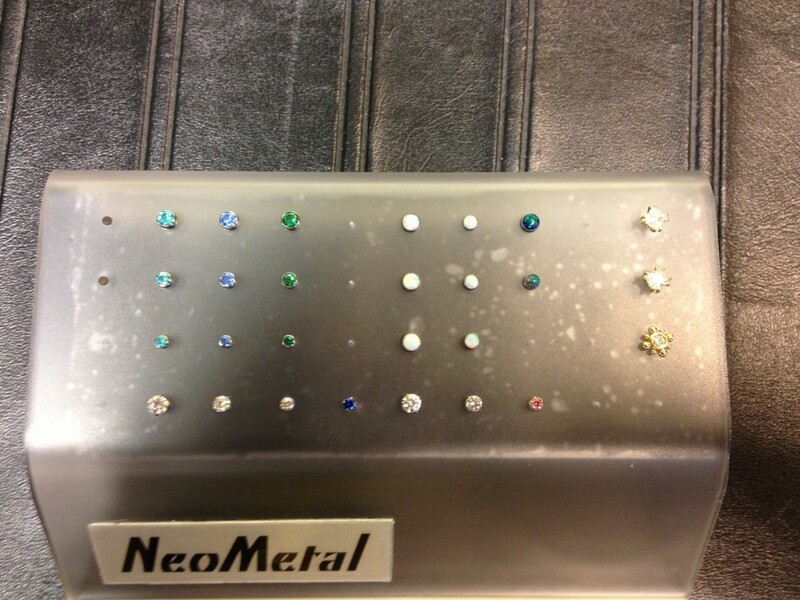 THE “TRINITY’ FROM NEOMETAL HAS ARRIVED! I have just received a shipment of the new titanium trinity threadless ends from NeoMetal to my body piercing and jewelry studio located at 4818 Lee Highway in Arlington, Va.
Stop in to view these as well as many other beautiful and safe titanium and gold pieces by Neometal, Anatometal and Body Gems today! 1. He has an awesome website. 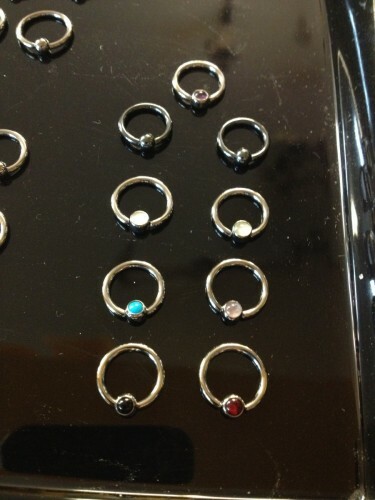 If you’re considering getting a piercing beyond the traditional ears or belly, his site lists all of the options available. Very educational and informative. 2. He made me feel comfortable. My visit with him, and his intern/apprentice, was really pleasant. To me, it’s important to feel comfy with whoever is sticking a needle in you. Initially, I contacted Craig via his website to schedule an appointment. Within the next two hours, he called me to discuss my appointment and confirm our time. He also provided parking tips and shared his pricing and cash only policy. At my appointment I was still a little uncertain about my decision. Craig patiently answered all questions, and even advised on additional questions. 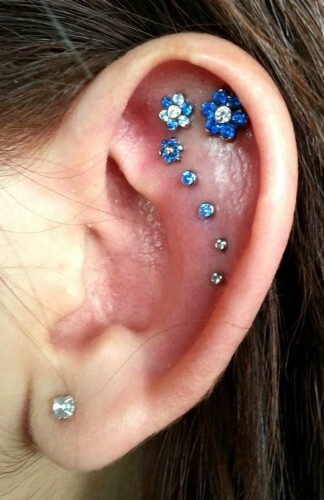 (I was already planning my next piercing.) He didn’t rush our appointment–noted and appreciated. Clean, sterile environment. Piercing devices/needles were packaged and opened for use. He’s the man. I’d return. 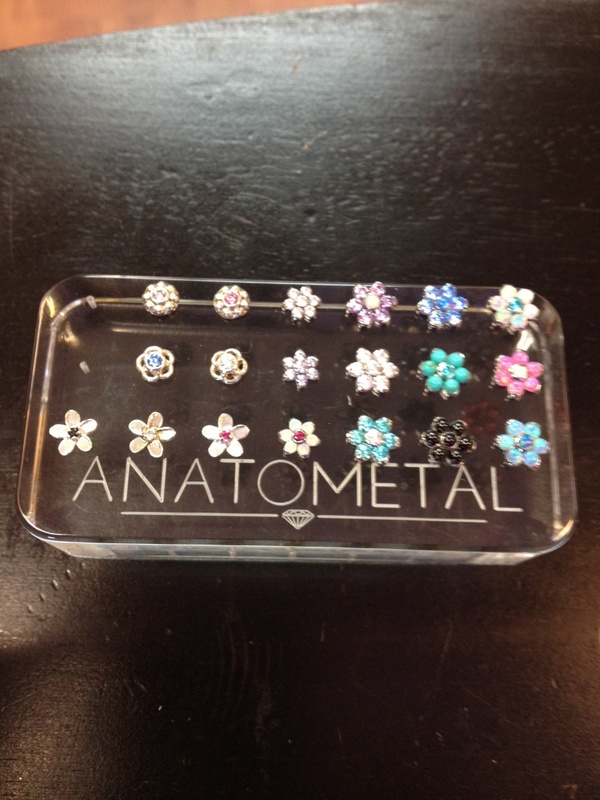 NEW ANATOMETAL SHIPMENT IS HERE! I just received a new shipment of beautiful implant grade titanium jewelry from Anatometal to my piercing and body jewelry studio located at 4818 Lee Highway in Arlington, Va. I AM ALWAYS LOOKING TO DO MORE FUN EAR PROJECTS! 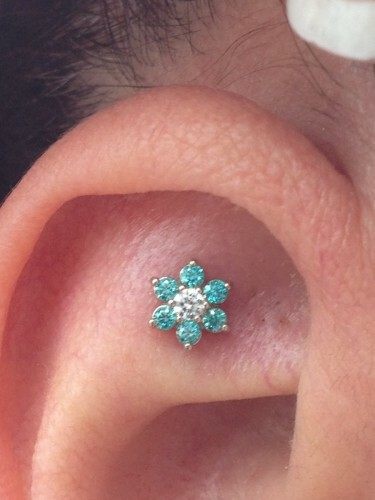 I love doing fun and beautiful ear projects. 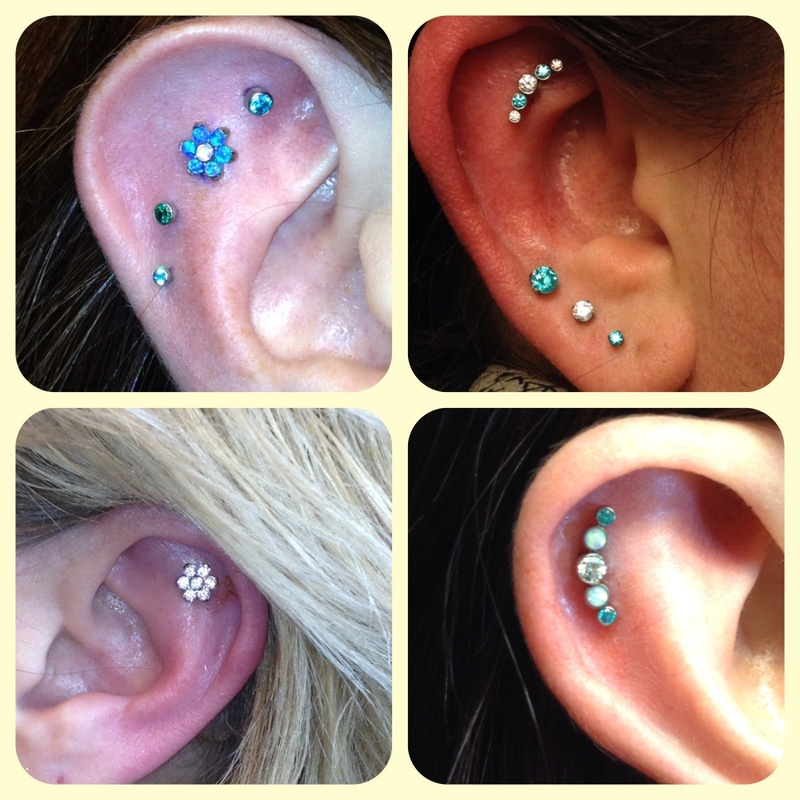 If you are interested in a custom project, stop in to my body piercing and jewelry studio located at 4818 Lee Highway in Arlington, Virginia. 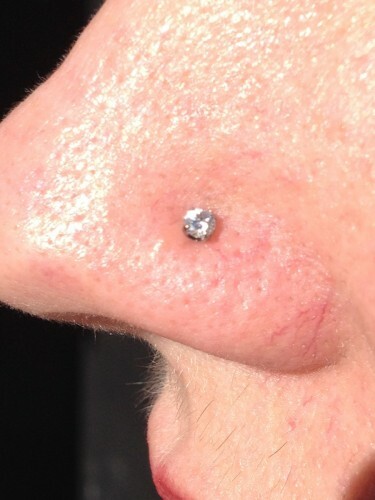 I am more than happy to discuss placement and jewelry options with you. The colors, sizes and styles of beautiful and safe titanium and gold jewelry are ENDLESS. We can work together to design something unique just for YOU! 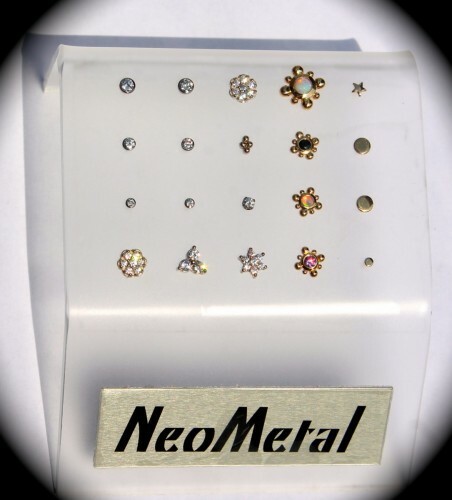 NEOMETAL GOLD AND DIAMOND IS HERE! I just received a huge shipment of gold and diamond jewelry to my piercing and body jewelry studio located at 4818 Lee Highway in Arlington, Va! I also carry a large assortment of Anatometal. All implant grade titanium! I HAVE DIAMONDS FOR THE NEW YEAR! 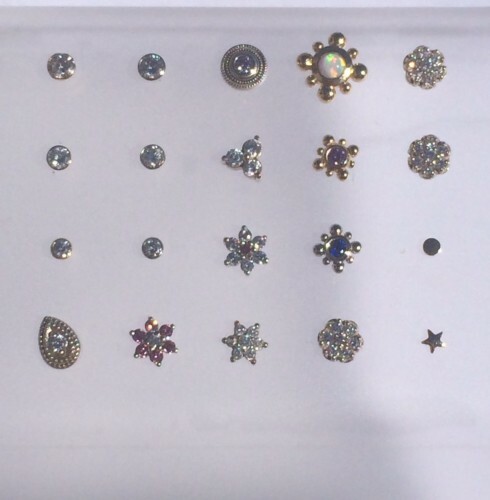 Stop in to my body jewelry and piercing studio in Arlington, Virginia and get pierced or replace your existing jewelry with a DIAMOND! Treat yourself right this year! 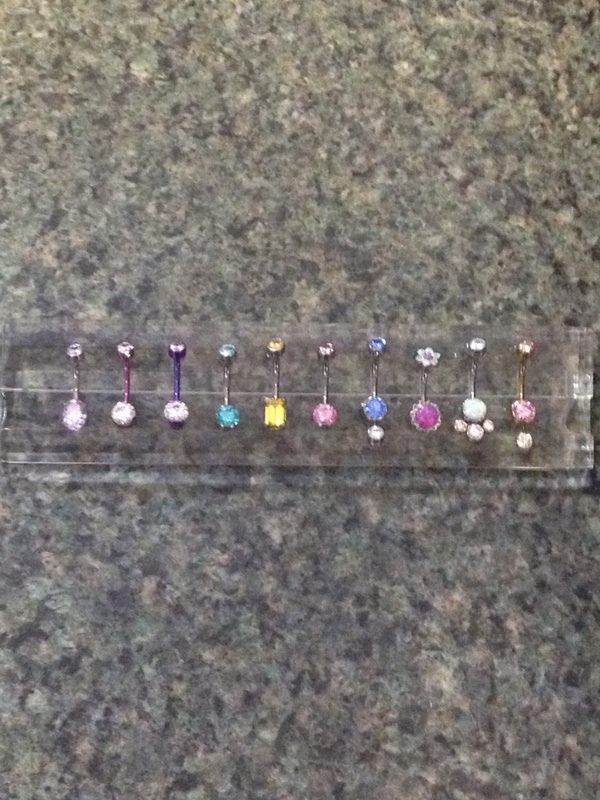 ANATOMETAL NAVEL CURVES ARE HERE! 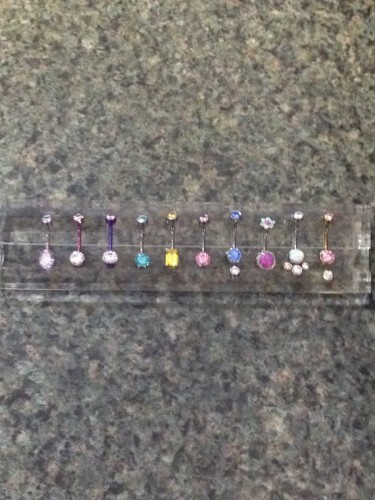 I just got a beautiful assortment of implant grade, titanium navel curves from Anatometal delivered to my piercing and body jewelry studio located at 4818 Lee Highway in Arlington, Virginia. Stop by and pick one up for yourself or a loved one for the holidays! 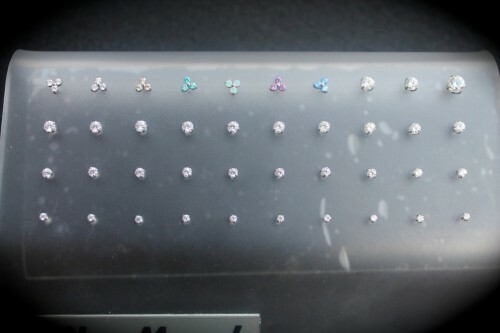 I sold the first shipment of diamonds so quickly that I had to order more for the holidays! Stop in and get yours before they’re gone again! INDUSTRIAL STRENGTH BEADED CAPTIVES ARE HERE! Stop in and get your beautiful, hand-polished titanium captives and dangles at my piercing and body jewelry studio at 4818 Lee Highway in Arlington, Virginia. Get yourself or a loved one something beautiful and SAFE for the holidays! 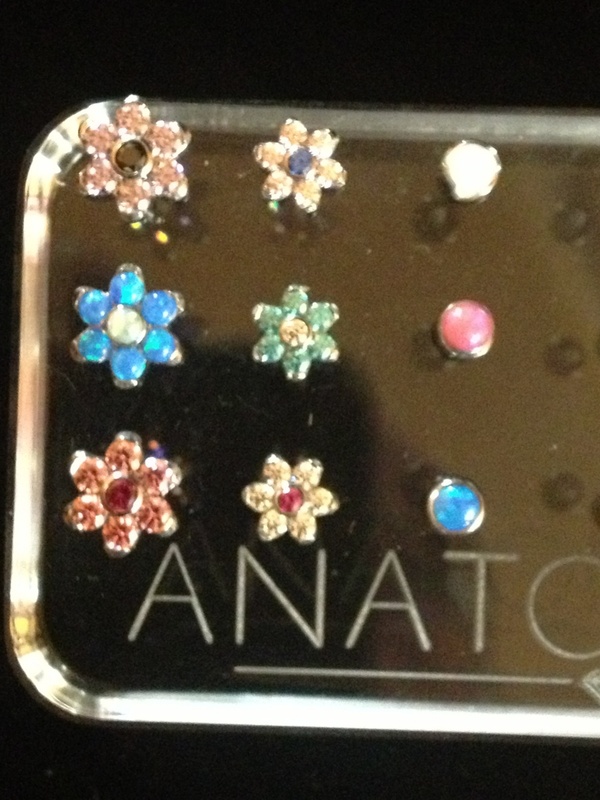 These look great in most cartilage piercings and even lip piercings and I can custom pierce a spot just for you as well! Here is an example of the fun ear projects I’ve been doing lately at my body piercing and jewelry studio at 4818 Lee Highway in Arlington, Virginia. Stop in for a consultation and get one for yourself! YET ANOTHER NEOMETAL SHIPMENT IS HERE! I just received YET ANOTHER shipment of beautiful implant grade titanium body jewelry from NeoMetal to my studio at 4818 Lee Highway in Arlington, Virginia! The shipment includes opal, cz and gold threadless ends for lips. 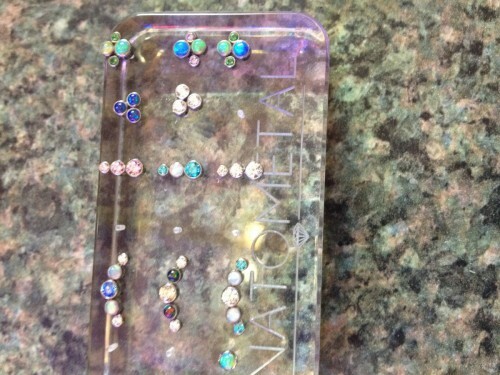 ear cartilage and nostril piercings. Stop in and get something beautiful and healthy for your existing or new piercing! NEW NEOMETAL SHIPMENT IS HERE! 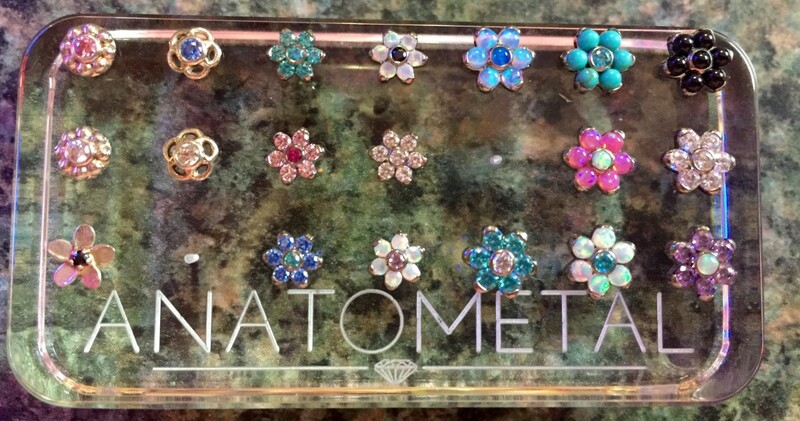 I just received a new shipment of beautiful implant grade titanium body jewelry from NeoMetal to my studio at 4818 Lee Highway in Arlington, Virginia! The shipment includes opal, cz and gold threadless ends for lips. ear cartilage and nostril piercings. 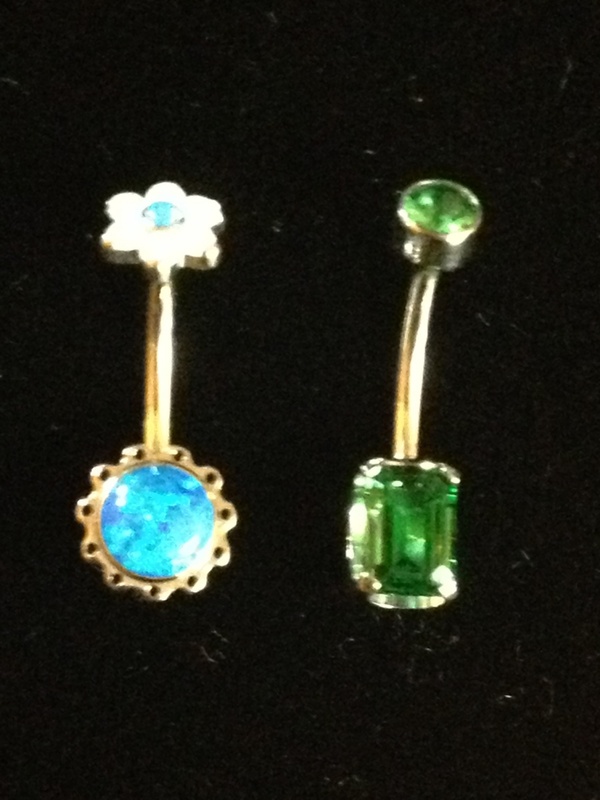 Stop in and get something beautiful and healthy for your existing or new piercing! this guy to do your body art. INDUSTRIAL STRENGTH ODYSSEY CLICKERS ARE HERE! 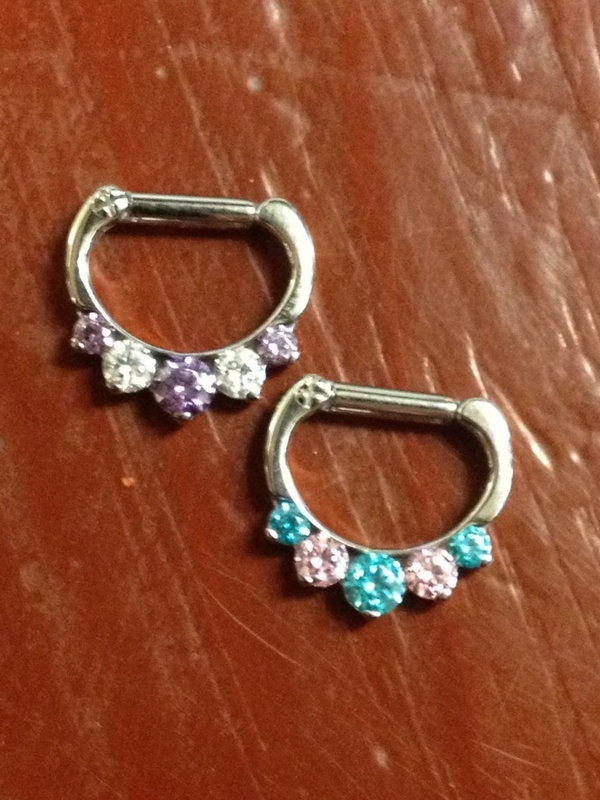 I have these two in stock here at my body piercing and jewelry studio in Arlington, Virginia. I can also custom order these for you in just about any color combination you can think of! You can even have opals or natural stones if you like!! !